Wake up at 7:02 am. Yeah, those extra two minutes are precious! Between 7:05- 7:30am. I feed my furry baby, drink my coffee, check emails and social media. Okay, sometimes I stretch it to 7:45am if I need to answer several emails. At 7:50am, by hook or by crook, I should be finished with my morning skincare. (I bathe at night to save me time in the morning). By 8:00am, I should be at least half-way done with makeup. Sometimes, I get so caught up with freakin’ cat eyes I extend to 8:10am. If I need to take photos for FOTDs, I give myself another 5 minutes. Regardless, I should be out of the house by 8:30am. Then back home in the evening and resume my domestic diva duties. If you read my mind, I’m just telling you that I wear makeup average of 10-12 hours a day. Another revelation. I hardly retouch my makeup at work except to re-apply lipstick after lunch. For someone who lived most of her adult life struggling with oily skin, you bet makeup meltdown is a downer. But thanks to face and eye primers, my life is never the same again (OA I know, haha!). 1. Clean canvass. Makeup applies better when you have a clean face. CTM. Cleanse, tone, moisturize. Use products that are intended for your skin type. Salicylic acid and witch hazel are good in controlling oil and shine. 2. Prime face and eyes. Dimethicone-based face primer does a good job of blurring visible pores. It’s not for everyone but I had good experience with it. To make eyeshadow last, use eye primer sparingly, a pea size amount is usually enough for both lids. For additional staying power, layer with eyeshadow base. 3. Wear long-wearing foundation meant for your skin type. Opt for oil-free formulation if you have oily skin. 4. Set makeup with finely milled face powder. Dust lightly over face with kabuki or fluffy face brush. 5. Finish with makeup setting spray. Have you heard of Olay Regenerist Wrinkle Revolution Complex($25.99, 1.7 fl oz/ 50ml)? It’s a primer, moisturizer and anti-aging product in one! Dermatologically-tested and non-comedogenic, the cashmere-soft formula gives skin a satin finish. It blurs open pores and does a good job of hydrating my skin. I’m all about multi-tasking because it saves me time and money. Another must-try is Olay Regenerist Micro-Sculpting Eye Cream and Lash Serum Duo ($15.99). The eye cream is lightweight and gets absorbed onto the skin pretty quickly. I don’t have pronounced crows feet yet so I can’t vouch for its anti-wrinkle property. The lash serum is my favorite. It’s not a mascara or growth serum but one thing is noticeable, my lashes look a bit more spread- out and thicker after one week of regular use (day and night). Just a reminder though, you have to let it dry for a few minutes before applying mascara or you end up with clumpy lashes. So my suggestion is to apply this serum to your lashes right after skincare, then do your face makeup, apply eyeshadow, blush, bronzer, lipstick, and finally a coat or two of your favorite mascara. WATER, CYCLOPENTASILOXANE, glycerin, niacinamide, dimethicone, ALUMINUM STARCH OCTENYLSUCCINATE, POLYETHYLENE, panthenol, DIMETHICONE CROSSPOLYMER, tocopheryl acetate, ACRYLAMIDE/SODIUM ACRYLOYLDIMETHYLTAURATE COPOLYMER, titanium dioxide, TRIETHANOLAMINE,dimethiconol, PALMITOYL PENTAPEPTIDE-4, PEUCEDANUM GRAVEOLENS (DILL) EXTRACT, CAMELLIA SINENSIS LEAF EXTRACT, C13-14 ISOPARAFFIN, DMDM HYDANTOIN, allantoin, ACRYLATES/C10-30 ALKYL ACRYLATE CROSSPOLYMER, LAURETH-7, LAURETH-4, SODIUM PEG-7 OLIVE OIL CARBOXYLATE, DISODIUM EDTA, PEG-100 STEARATE, IODOPROPYNYL BUTYLCARBAMATE, MICA. WATER, ALCOHOL DENAT., TRIETHANOLAMINE, CARBOMER, TRISODIUM EDTA, IMIDAZOLIDINYL UREA, POLYVINYL ALCOHOL, METHYLPARABEN, GLYCERIN. What about you, any makeup secrets you wanna share with me? FTC Disclosure: This post was sponsored by Olay through their partnership with POPSUGAR Select. 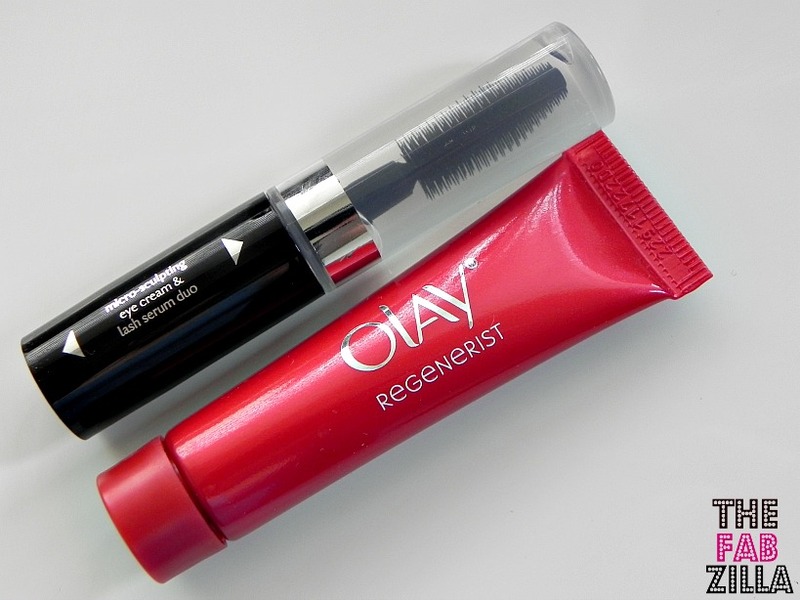 While I was compensated to write a post about Olay Regenerist Micro-Sculpting Eye Cream & Lash Serum Duo and Regenerist Wrinkle Revolution Complex, all opinions are my own. Great post! I had been using the Cover FX Protection Primer but since it's so darn expensive I have since switched to L'Oreal Miracle Blur… trying it for the first time today, and I have about the same lengthy day as you! Hi Miranda. Thanks for stopping by. Wish I have the energy of a horse, everyday is always busy! Can't wait for the holidays so I can chillax for a few days. Great tips! I've never heard of nor seen those Olay Regenerist products. I love my model in a bottle setting spray. What helps my skin from getting oily is dusting my oily areas with a light translucent powder prior to and after applying my foundation. Hi Kim, they're pretty new but I'm sure you'll see them in stores soon. Thanks for your sharing your "secret". I'll try your technique. If it was cruelty free I would totally try it. it would be nice if all companies are cruelty-free!!! Great tips! I live for makeup finishing sprays! me too!!! it seals the deal for me. Great post! I live for makeup finishing sprays. I really want to get the serum and add it to my routine. I do love a good serum. me too, I l'm into serums lately. I want them all!!! 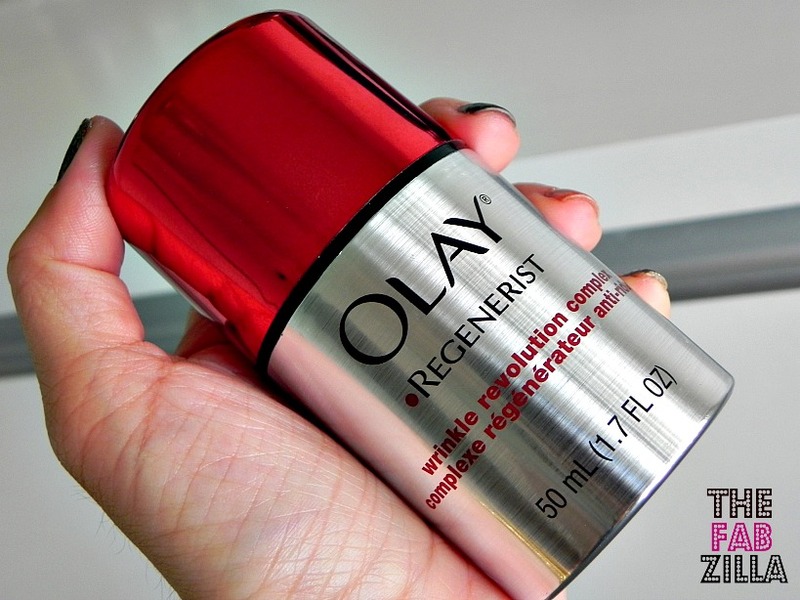 I have always liked Olay Regenerist products and this primer + moisturizer sounds great! Hi Harshleen. I think you'll like this because it's multi-tasking. Finishing sprays and waterproof makeup are important to me. You have no hope of wearing makeup in Australia during summer without one. I can totally relate. I live in Hawaii, it's sooooo humid in most days. I definitely need to checkout that lash serum! yay! I want to know how it turns out for you Brooke! I love these Olay Regenerist products! They work so well. And I know what you mean by an extra 2 minutes being precious! Hi Linda, that's great to know!!! My alarm clock is set at 7:02am. My mind is already conditioned for extra snooze, haha! Great tips! I have heard so much about Olay products and glad t hear this line gets so much good word of mouth. 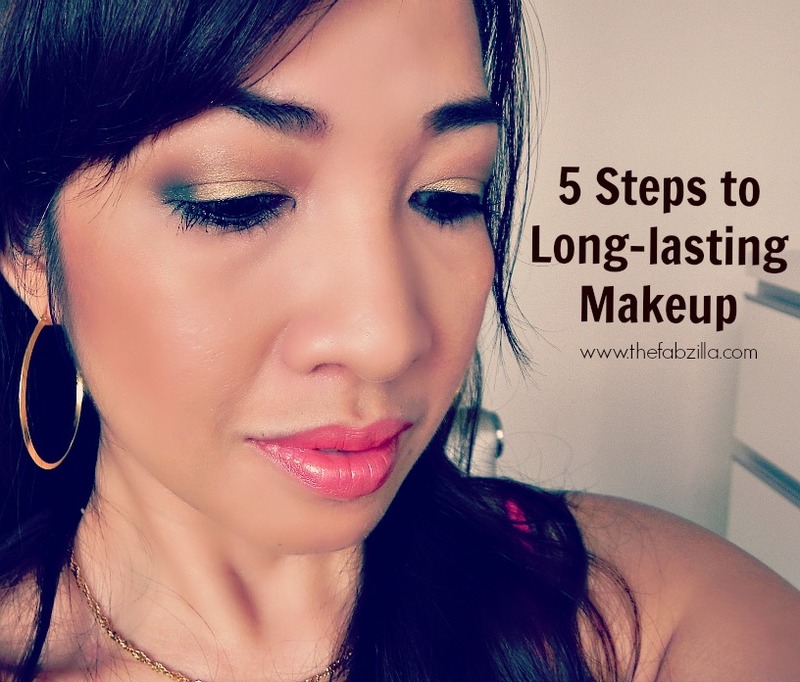 love the great tips to long lasting makeup! i havet tried these products yet but will have to look more into them. My pleasure Krystin. Stay fabulous. 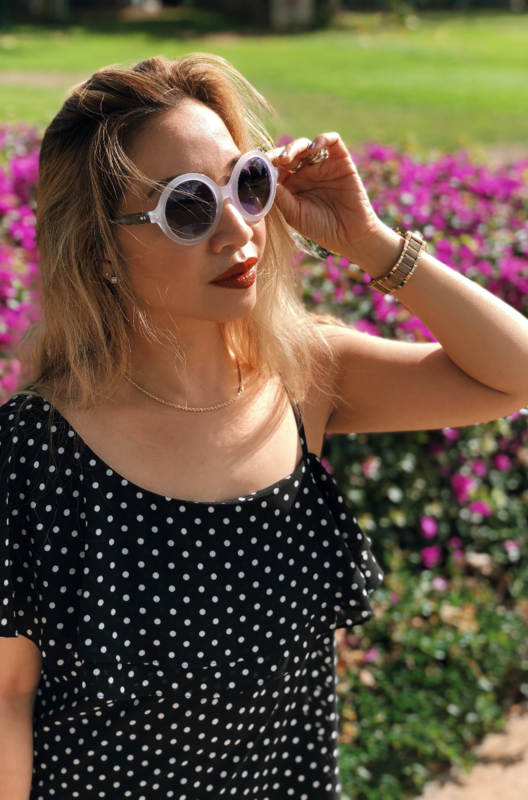 Love your timeline – it really made me think of my own routine in the morning, and how I need to incorporate coffee, earlier! LOL Also, I love your tip on the lash serum. Letting it dry first is key! Great post!! Thanks Judy. It seems like I don't have enough time in the morning. I want to wake up earlier so I can chillax and have coffee more while catching up w/ my blog. But then again, I need extra hour to sleep!!! I have the eye cream & serum and love it. Great review love.